Johnnie’s has become an Oklahoma City institution, bringing the quality of hamburgers to a level found at very few places. The Split-T and The Patio were the first restaurants I can remember that served charcoal broiled hamburgers with hickory sauce. 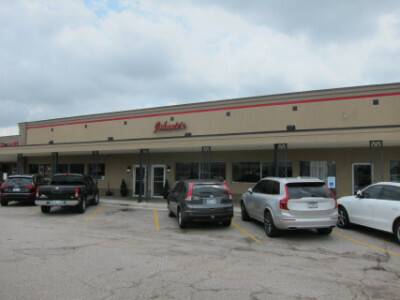 Johnnie’s came along soon afterward, and carries on the tradition today with nine locations in the OKC and Tulsa areas. 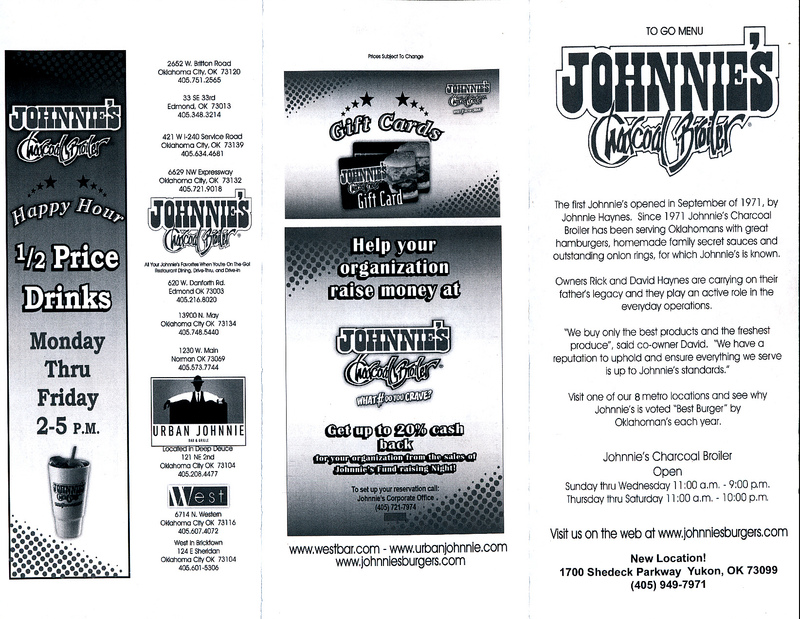 The hamburgers at Johnnie’s are cooked over charcoal, giving them a distinct flavor. I do not know why this cooking method has not caught on in many places outside Oklahoma, but it is one of the things I really appreciate about Johnnie’s and some of the other hamburger places in the area. Even though Oklahoma is known for charcoal broiled hamburgers, I have not found any other restaurant that does it as well as Johnnie’s (except for places such as Split-T that were my favorites while growing up). My travels around the country have so far demonstrated that Johnnie’s is not only very good, but also unique in offering the type and quality of burger that is served here. Many places in Oklahoma City come close, but I still think Johnnie’s is the best. 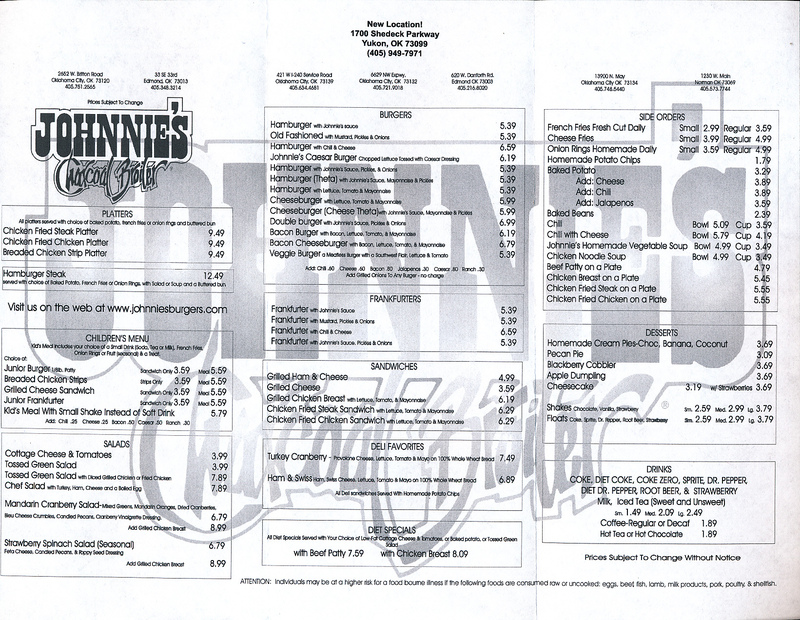 Since I started publishing my own personal ratings of restaurants, there has been a dilemma about how to rate my favorite hamburger, pizza, barbecue, taco, and other casual and downscale restaurants that certainly do not qualify as “fine dining,” but have their own place in my personal “food chain.” Johnnie’s is not one of the city’s most elegant restaurants, but it is one of the ones I would most miss if it were gone. Johnnie’s offers salads, sandwiches, and deli favorites (such as turkey and cranberry) but to me the hamburgers and fries are the reason to go. 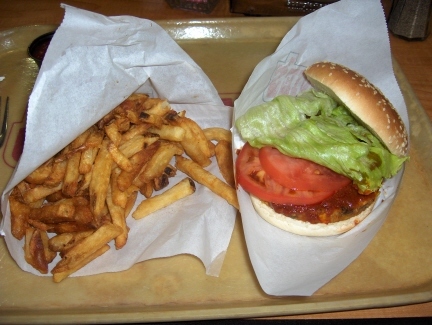 Although several toppings are available for the burgers, Johnnie’s Sauce is the one I have always enjoyed. Cooked each day on the stove for about five hours, this hickory sauce is made with a secret blend of ingredients, and can be purchased for take-home. 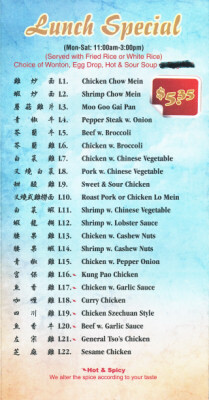 I would say this sauce is a must try, and it can be ordered on the side for those who wish to try it. I usually prefer mustard to tomato based sauces, but Johnnie’s Sauce is of such superior quality it can only be compared to a high quality barbecue sauce. 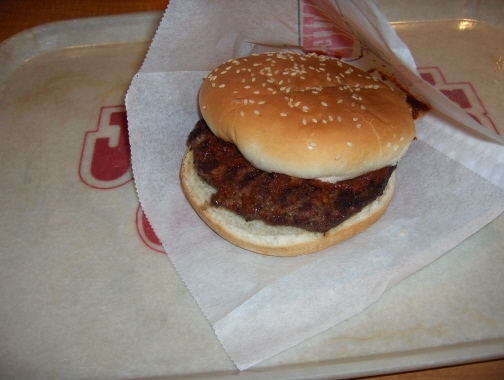 The meat patties are made with chuck, and are higher quality than the average hamburger. The sauce, the charcoal broiling, and the meat all seem to be key ingredients in making this such a good burger. 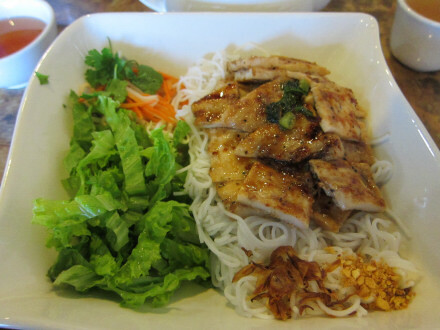 I have also enjoyed the buns with sesame seeds on top as much as any other part of the burger. Many times I get as much enjoyment out of a veggie burger as the meat patty, mainly because I order them with Johnnie’s Sauce (but customers can also get mustard or mayonnaise if they wish). I am sure there are better quality veggie burgers than the ones here, but out of the ones I have tried in the Southwest, I like the ones served at Johnnie’s the best. Honestly, though, I would like just about anything that had Johnnie’s Sauce on it. 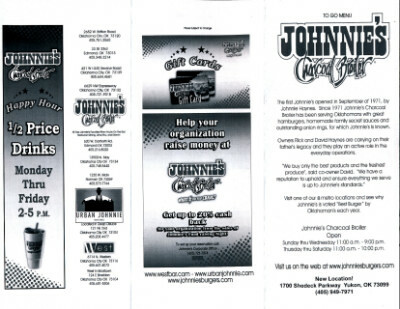 Johnnie’s offers some other choices if you are not in the mood for a burger. One popular item is the Frankfurter with chili and cheese, similar to the coney hot dogs served at many of the local hamburger restaurants. The frankfurter seemed to be better quality than most, with more meat and less “filler” than many hot dogs, as well as a good flavor. The chili, though, was disappointing compared to the “other” Johnnie’s in El Reno (which I think is the best). This is Texas style chili (not New Mexico chile that is much spicier and either red or green colored). 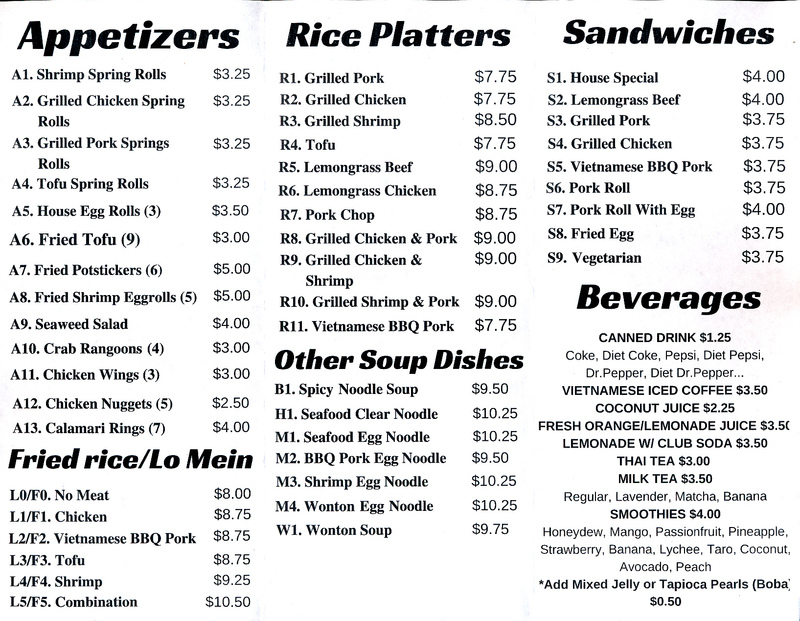 Johnnie’s menu includes several sandwiches, salads, and other items, and I have tried several of them at the Northwest Expressway location. The one I liked best was the grilled chicken breast sandwich. The french fries are almost addictive with just the right amount of grease. The large order is probably appropriate only for a family with hungry kids (if you can eat an order by yourself, I would seriously worry about you!). Baked beans are a healthier side dish, and just about as good as the fries. Because of tradition, though, I usually order the fries. The Iced Tea is very good, partly because the crystal clear ice is much better than the ice I can make at home from tap water. When I really need a Milk Shake (such as after a visit to the dentist or other traumatic experiences) I head to Johnnie’s. As strange as it may sound, the milk shake even goes well with a hamburger (I tried it myself just to make sure I could make this statement). I think the one here is better than at Braum’s, but others are welcome to make their own taste test. My favorite dessert is the Blackberry Cobbler, but I must make the disclosure that I have only tried it at the Northwest Expressway location. The hamburgers are not very expensive for the quality you get, but if you order any side dishes Johnnie’s becomes just about as expensive as going to a typical restaurant. In my opinion, though, it is certainly an experience that is worth it. I think Johnnie’s is something that everyone should experience if at all possible while in the OKC area. The Number 5 hamburger with Johnnie’s sauce is probably the restaurant’s most popular item, but either a burger with some other sauce or any other item with Johnnie’s sauce would still be worth trying (especially the veggie burger). 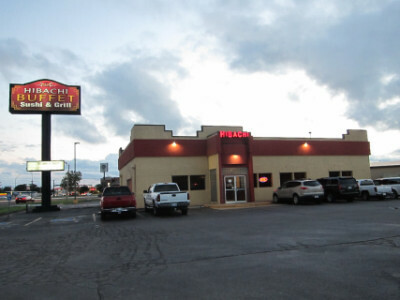 In addition I should add that this (the Britton Road) location has usually given the most satisfying experience to me because of the consistency of the food and the fact that the dining room seems more comfortable than at the other locations. (The parking lot here is possibly in need of a makeover but this is not a big deal). 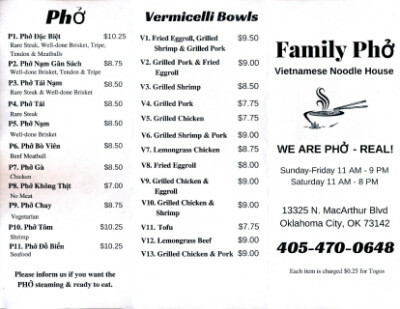 The other locations are usually very good, but this is the restaurant where I can really count on everything being just as I expect them to be. 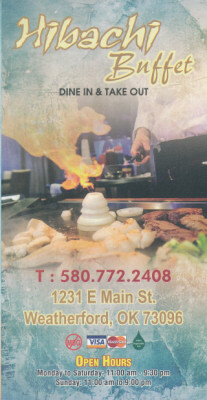 One of my favorite stops along Interstate 40 used to be Young China Restaurant in downtown Weatherford. The food tasted more like what I would find in large cities than in small towns where Americanized Chinese is the standard. 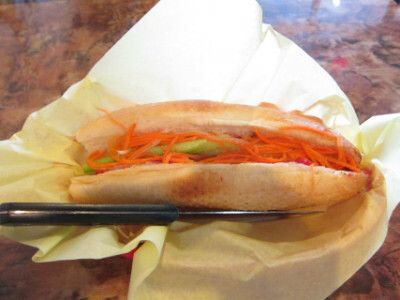 The owners were also able to prepare special requests to a limited extent, but mostly I relied on them to tell me what I could order that had more of a Chinese flavor than an Americanized one. 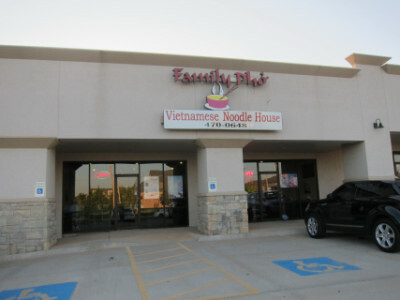 These were the same owners who now have Hibachi Buffet, a much larger restaurant with both a menu and buffet as Young China had. When I went to Hibachi Buffet the owners were not there but there was a large choice of items either on the buffet or available from the menu. 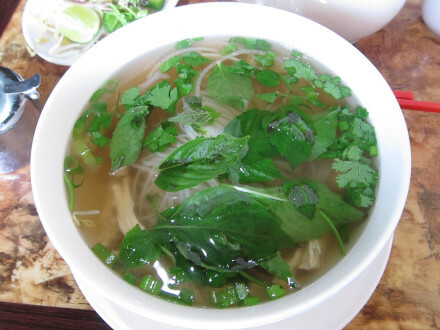 I ended up getting what I thought was a very good dish, and I was glad to find out that the flavor seemed to be the same as it was as Young China. It threw me off a little bit seeing the name “Hibachi” and the fact that they serve sushi, but this is still a Chinese restaurant with a good selection of items. 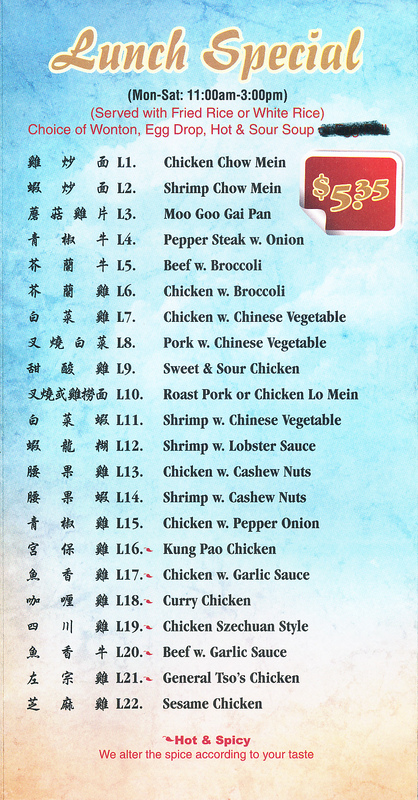 My choice of Pork with Garlic Sauce was somewhat influenced by my experience at Young China, knowing that the brown sauces are very good and that the restaurant had good vegetables. 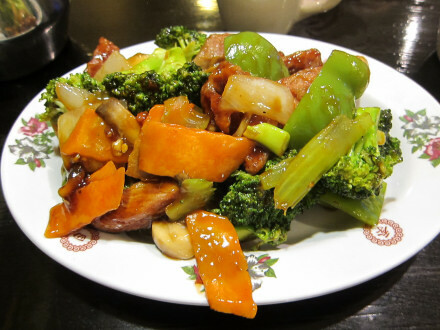 Although many of the vegetables were not Chinese style, such as the broccoli and carrots, I was happy with the quantity of vegetables that were served. They had a good flavor, and I particularly liked the fresh mushrooms that were included (the mushrooms were typical of those served in authentic Chinese dishes). The meat was good as well, and I liked the high vegetable to meat ratio. The sauce was probably the best part of the dish, though, in the sense that this is usually where the restaurants make it too Americanized. 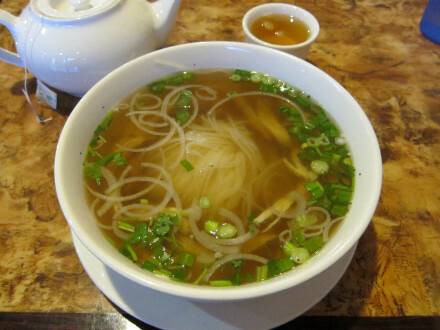 This one had a subtle sweetness rather than an overwhelming one, and the flavors were balanced to make it taste Chinese. It was a little bit spicy, and if you want it more so you probably can ask for it (or likely just get some chiles from the buffet). There was an impressive display of items on the buffet, but if you are not extremely hungry the menu has single items at a good price. 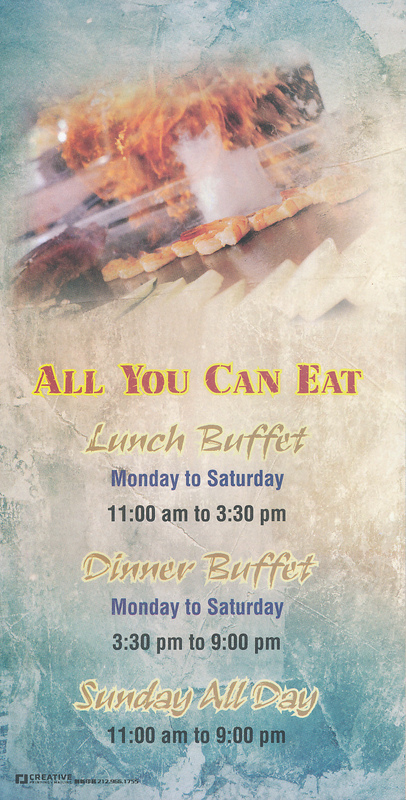 I would guess that this buffet is probably better than most, based on what I tried from the menu. They also have sushi items available in the buffet. The buffet is available both at lunch and dinner. I am glad that the tradition of Young China now lives on in Hibachi Buffet. 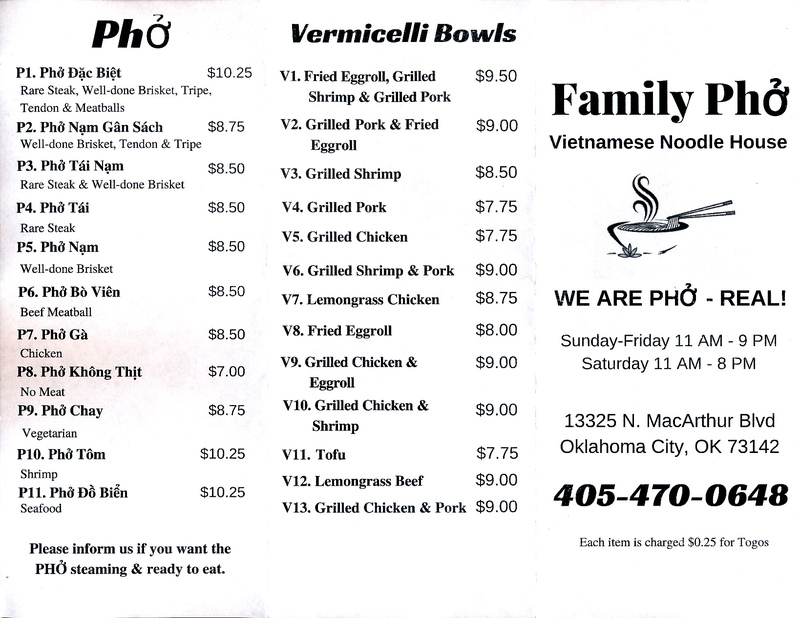 Weatherford is a town of about 10,000 people and does not have Chinatown style food, but it does have what I consider to be higher quality Chinese food than in most towns of similar size. This, combined with the price, is a very good deal. 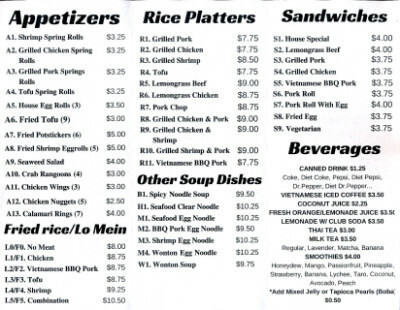 My price category ($) is for the menu items, and if you get the buffet I think it would be $$ (still reasonable, though, compared to many other buffets).